I shared this super fun polka dot manicure on Instagram and Twitter the other day and I had so many requests for a tutorial that I just had to oblige. It’s honestly fairly simple, and most of you will be excited to know that you probably already have the tool to do it. While I do have “dotting tools” specifically for my nails, I rarely use them. I found that the “tool” I use makes it so much easier and simple that it’s really my go-to. I originally shared a polka dot manicure with you all a few months back, but I realize not everyone was following along with me then so I wanted to revisit this manicure because it is quite popular and super easy to achieve. I have done a few manicures in the last few months featuring polka dots, which I will also share with you so you can get a few ideas of how you can incorporate the look into your NOTD. 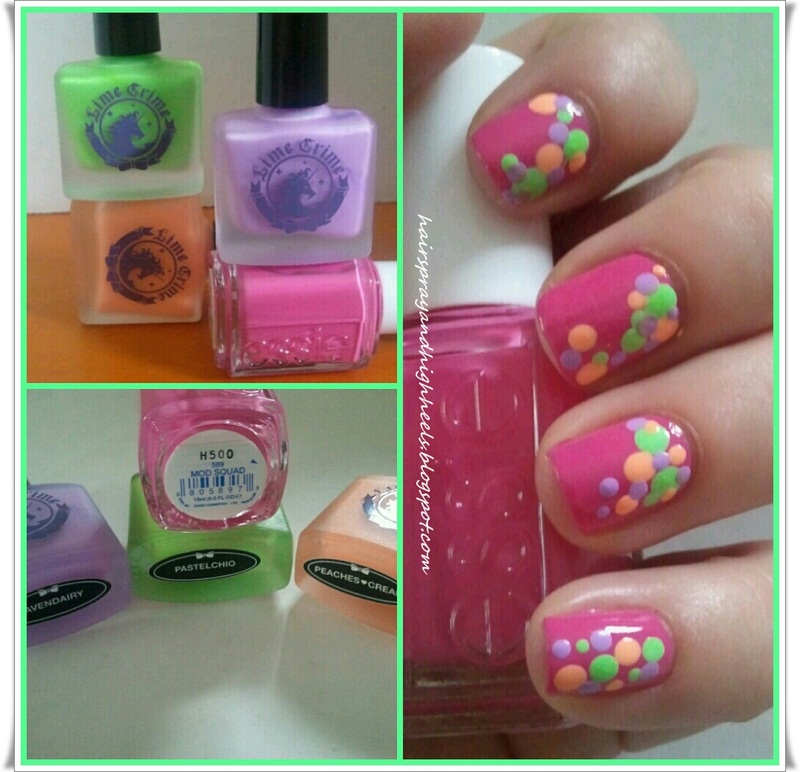 This is my original polka dot manicure which you can see HERE with a small tutorial attached as well as a You Tube video from one of my favorite beauty guru’s where I originally got the idea. (She uses dotting tools). If you notice in the picture above, I use a bobby pin. 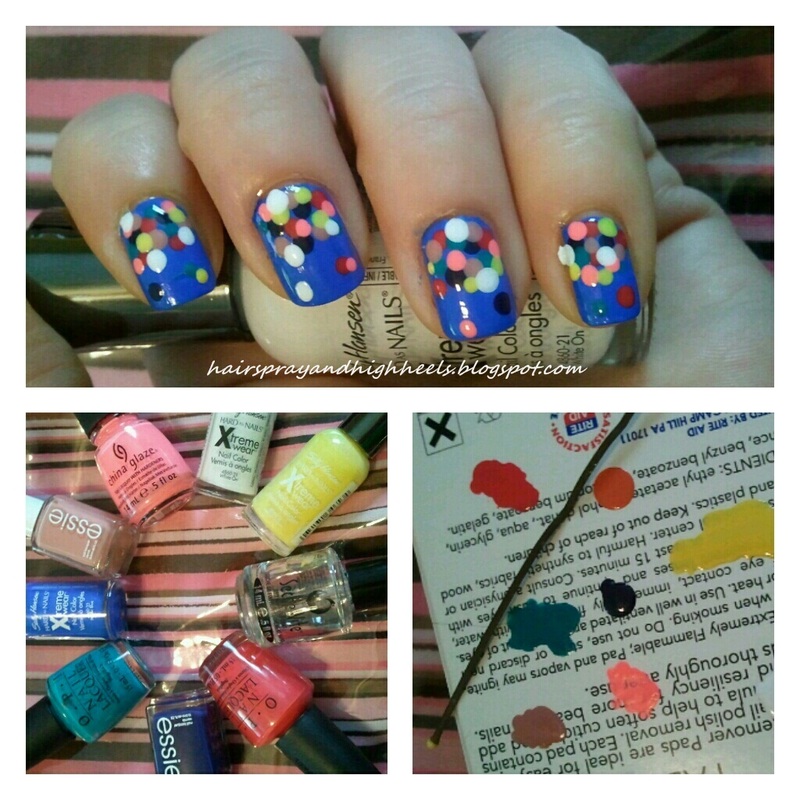 The small rounded edge of the pin makes it super easy to make the polka dots on your nails. Can you believe that’s all it takes? A bobby pin, that I bet you have lying around the house anyway. It’s quite simple. I use a paper plate, drop some polish on dip the end of the bobby pin into the polish and then make the dots on my nails in whichever pattern I am going for that day. If I want all the nails to “sort” of match, I’ll start with one color, dot it on each nail and then move on to the next color. I find that just makes it easier, rather then doing one nail at a time. You can find whatever process works best for you, but I promise using the bobby pin makes this super easy. It’s fairly easy to make different size dots with the same bobby pin as well, for smaller dots you will just use less polish and obviously for larger dots you’ll want to use more when dipping the pin into the polish. 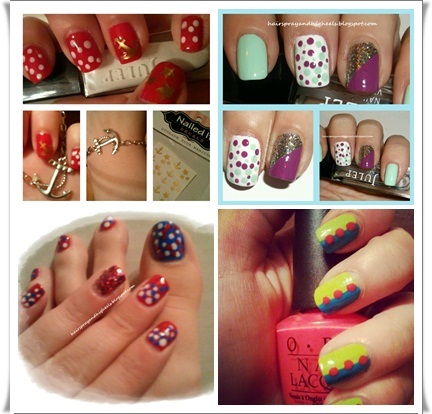 As promised, below I am going to share some of my favorite manicures that I used the bobby pin for to make polka dots! There are so many different manicures you can do and it’s as simple has having some time and a bobby pin. I hope this makes it easy for anyone trying to achieve this look. I definitely love finding something I have around the house, rather then spending big bucks on dotting tools. Let me know if you try out the polka dot manicure and tweet me your pictures!! I love seeing what everyone is rocking on their hands!! Previous NOTD: Who Said Denim Wasn’t Cool? That first one is super fun! Love the color combo! Nice new blog design too I see! so fun! Love them all! Absolutely love this nail design — plan to try the polka dots this way because I normally just do the basic polka dot design. I didn’t think of a Bobbie pin, i have been using my husbands golf tee’s! I hope you don’t mind i will be trying out the top pick, i love it! This looks awesome! I’ve always struggled doing dots on my nails. Will have to try this out! That is super cute! 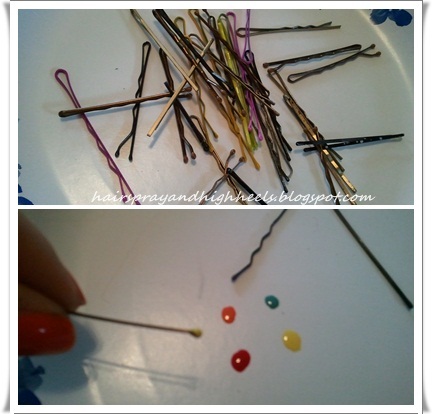 What a great idea to use a bobby pin to make the dots. I thought you used a nail art dotting tool. I’ll definitely do this one! I can’t believe this is my second time reading this post and I didn’t comment last time!?!?! I LOVE the dots though, you always make things look so good! I’m gonna have to make another multi color dot attempt.